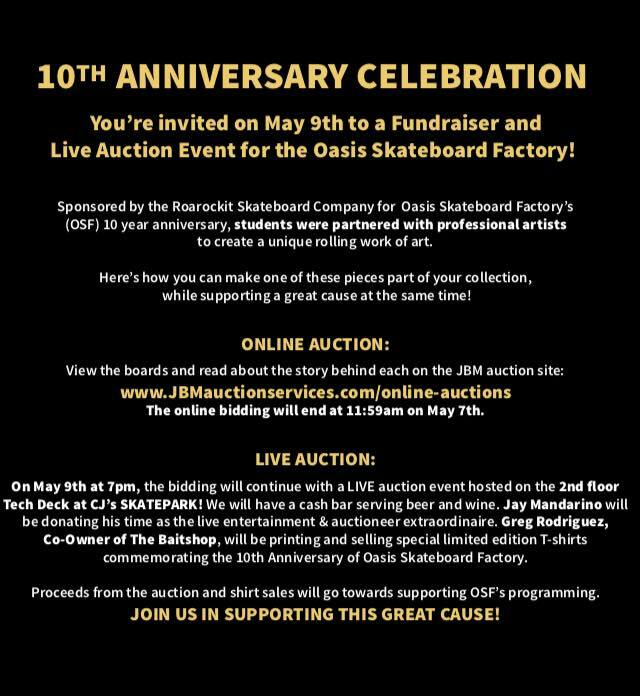 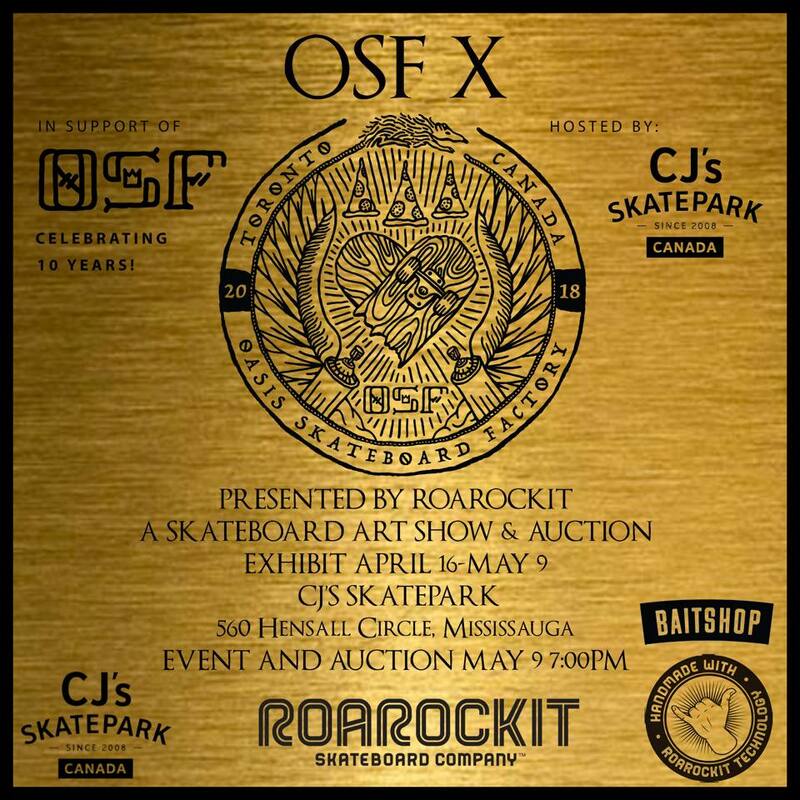 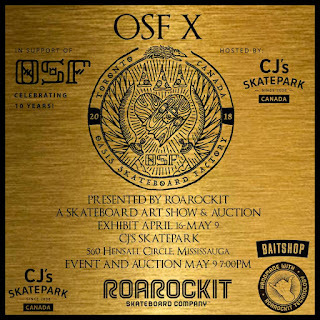 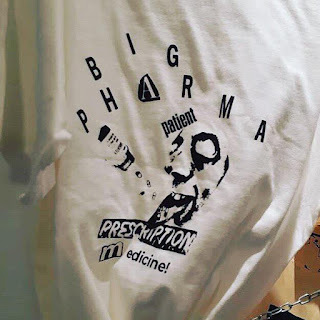 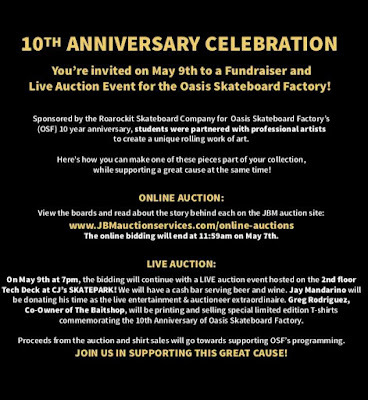 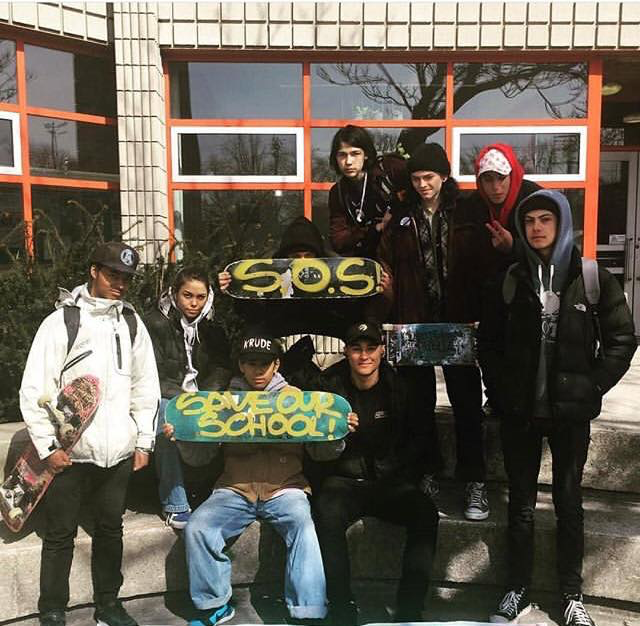 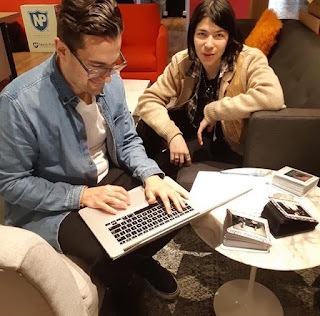 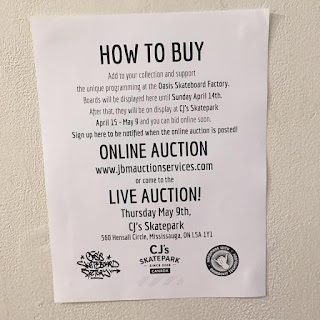 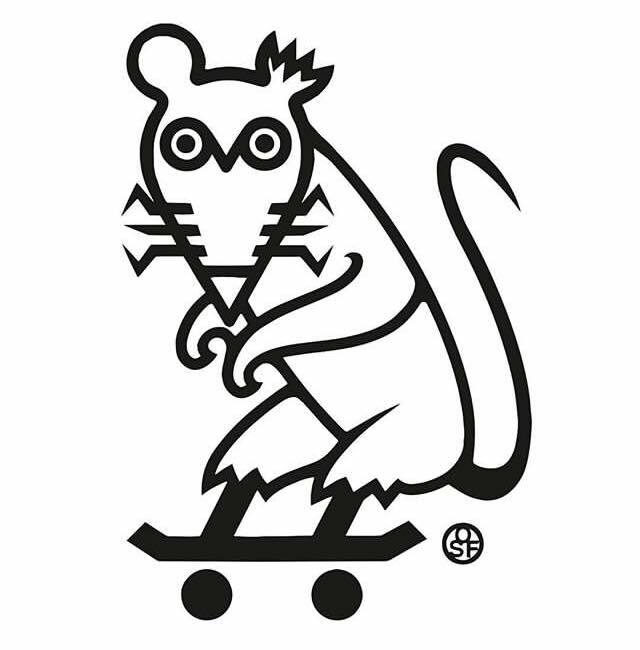 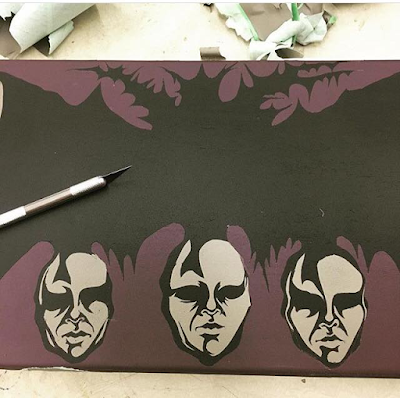 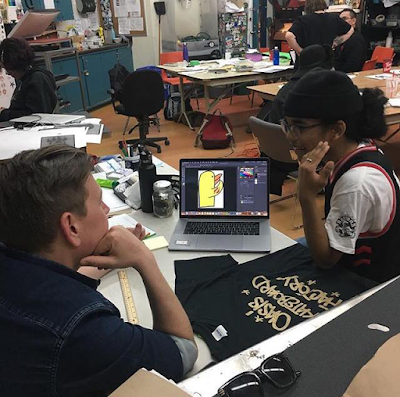 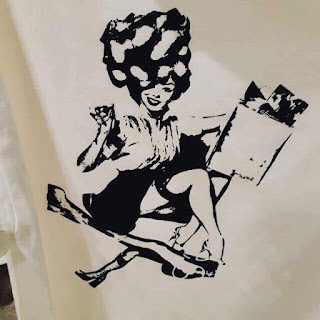 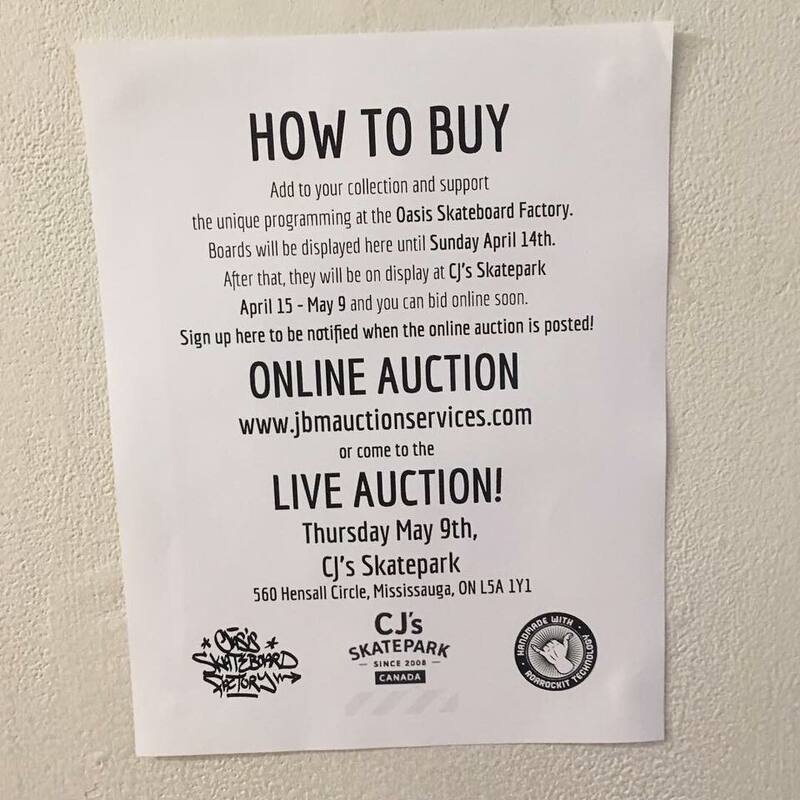 The online auction is now live, or come out to the May 9th event @cjskatepark with @thebaitshop presented by @roarockit to support OSF 10 more years! 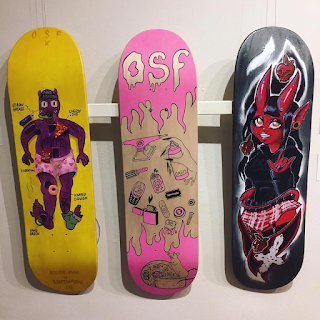 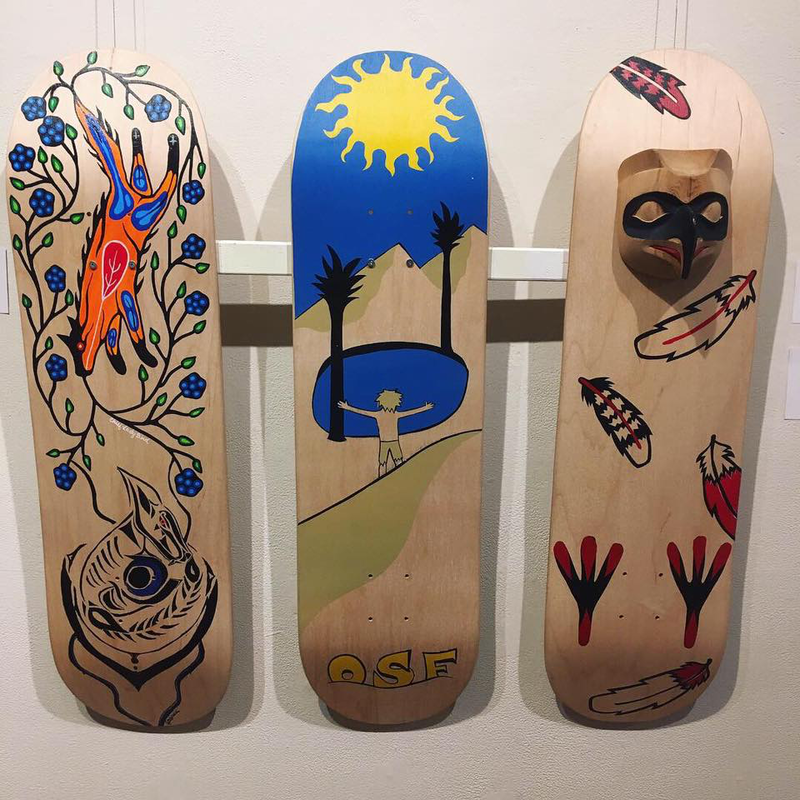 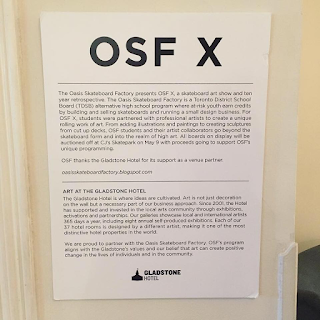 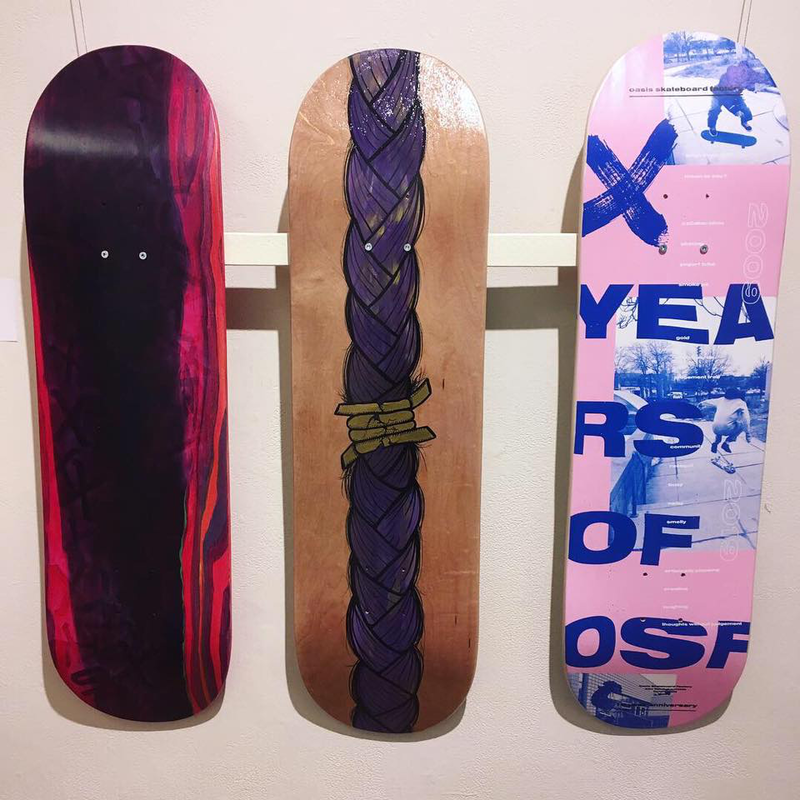 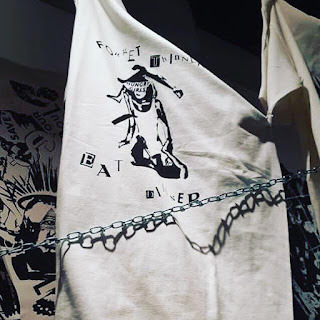 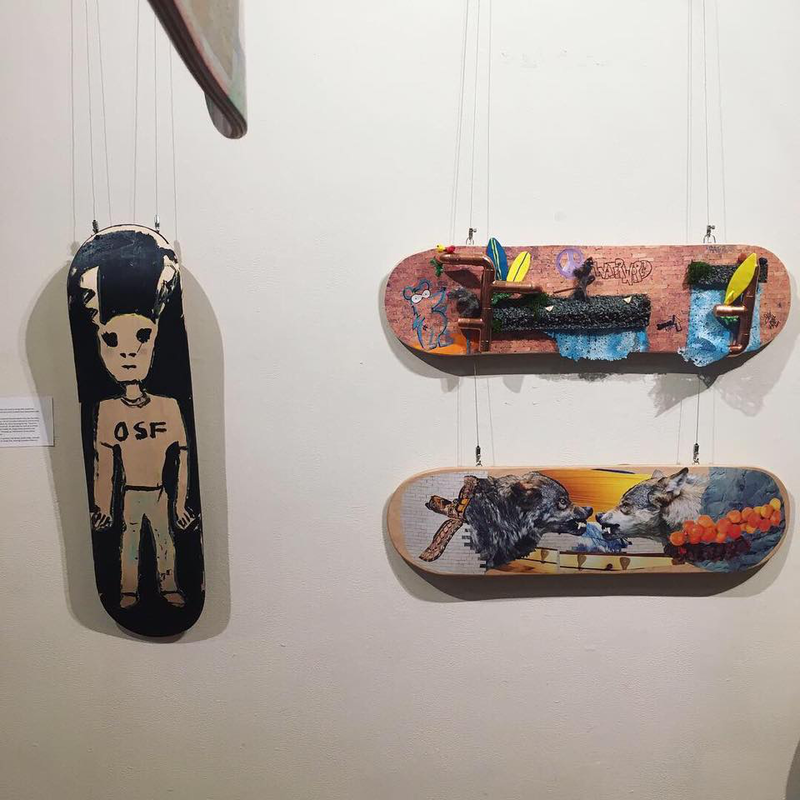 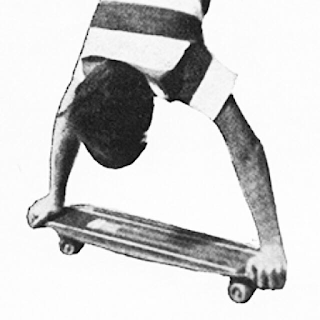 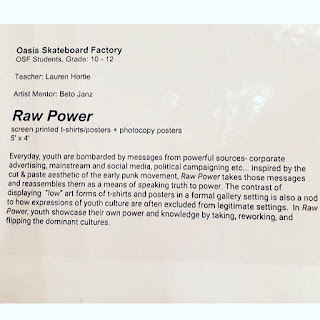 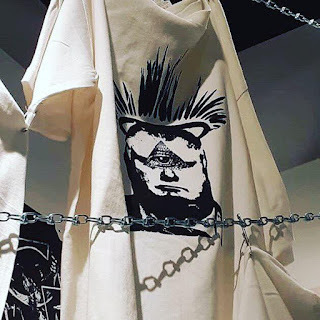 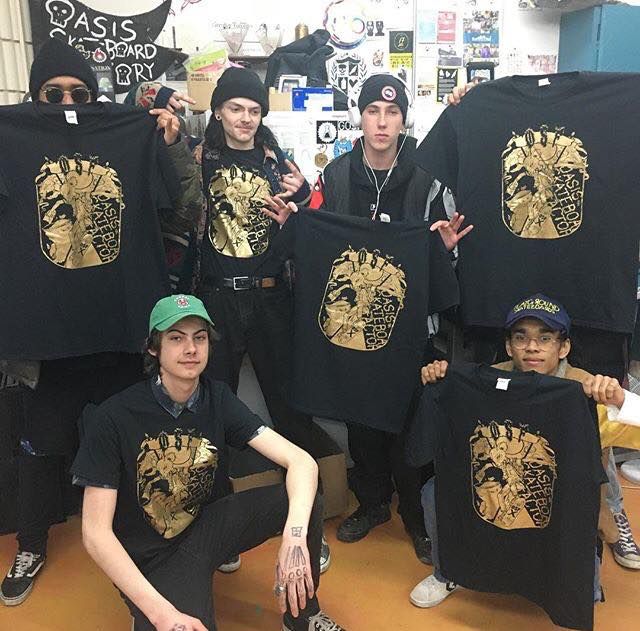 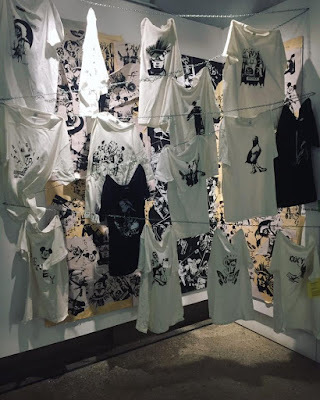 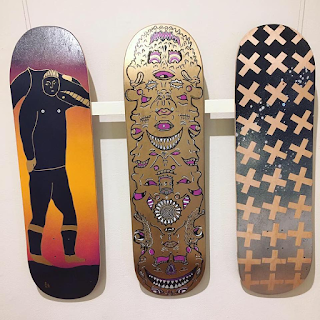 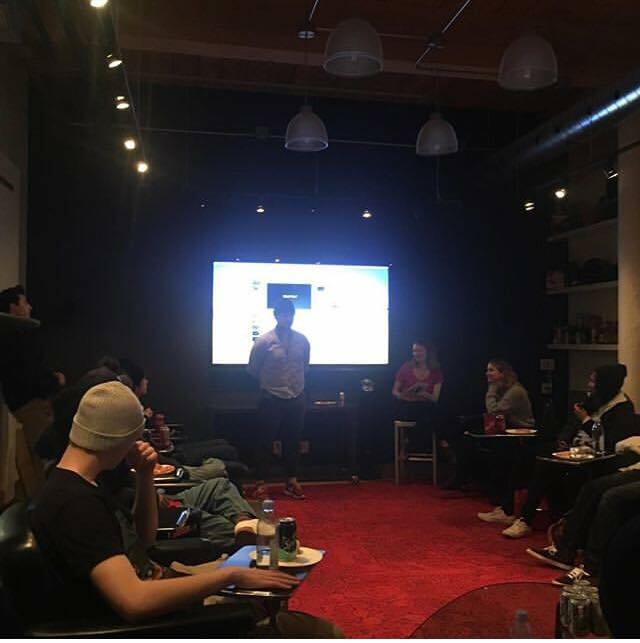 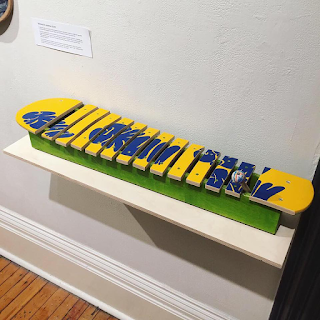 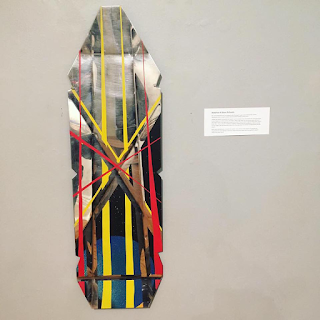 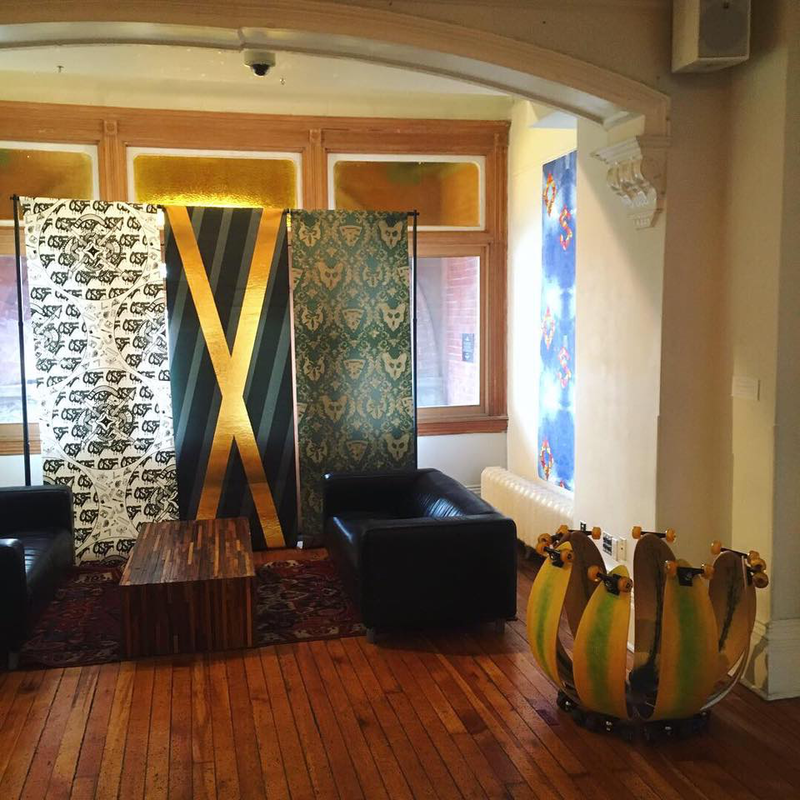 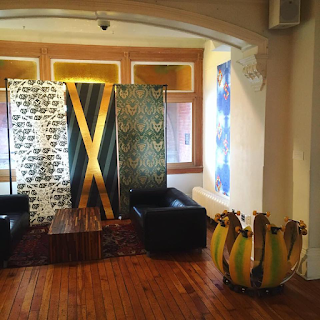 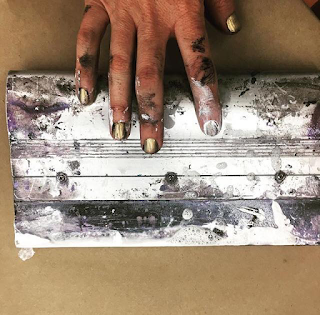 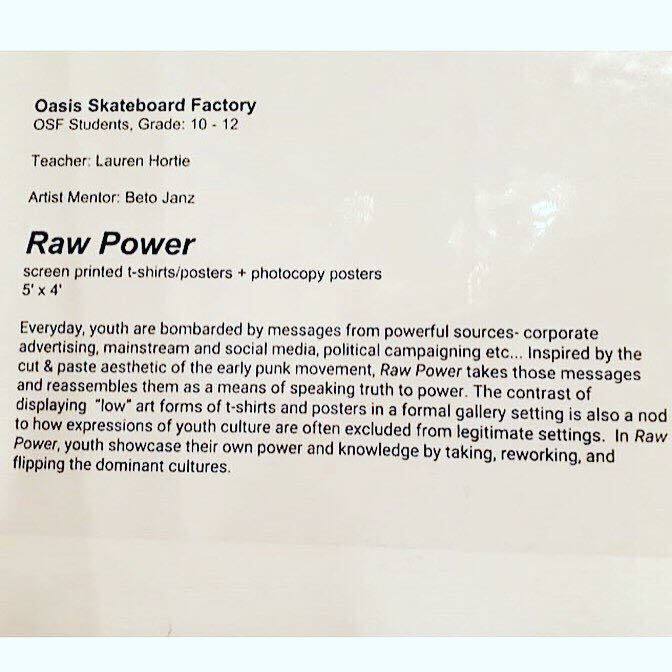 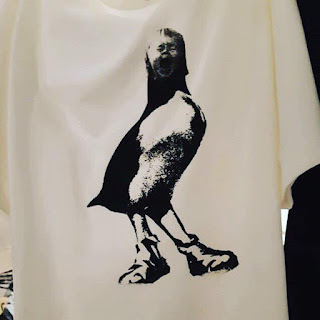 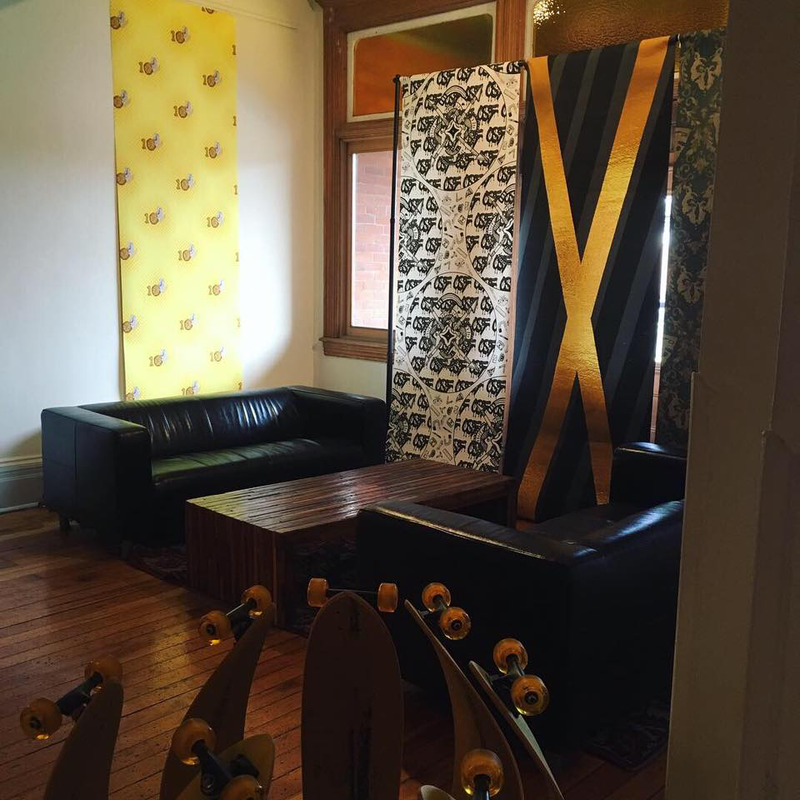 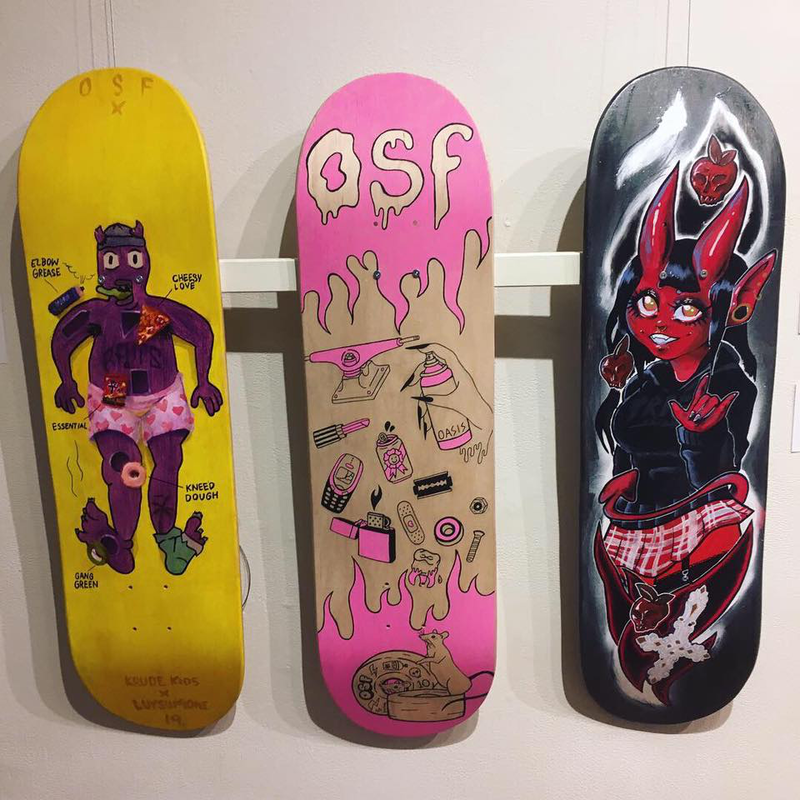 Last weekend to check out OSF X @gladstonehotel before it moves to @cjskatepark to be auctioned off. 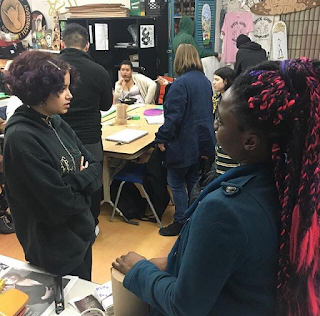 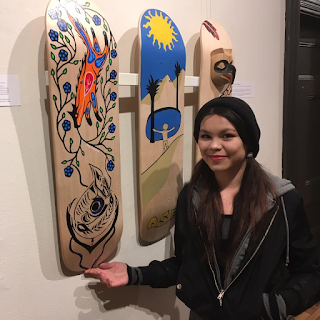 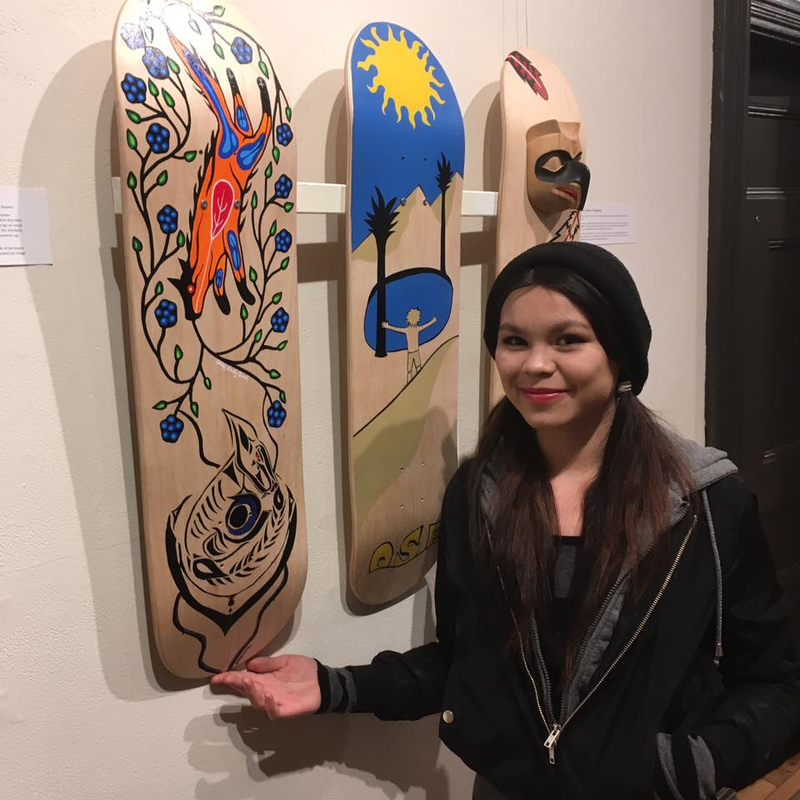 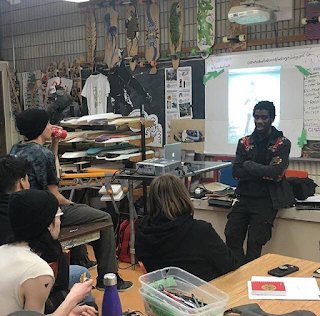 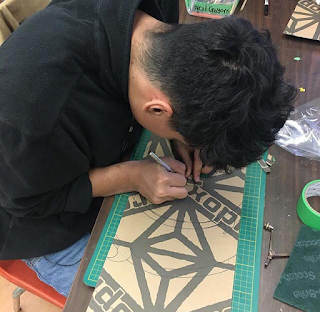 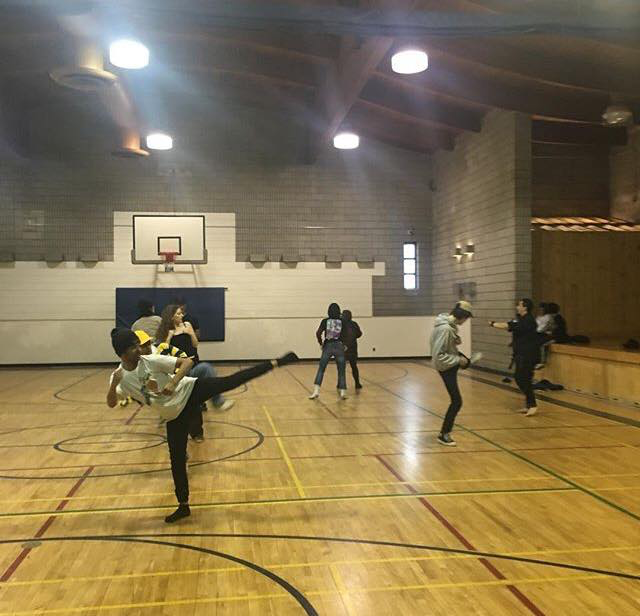 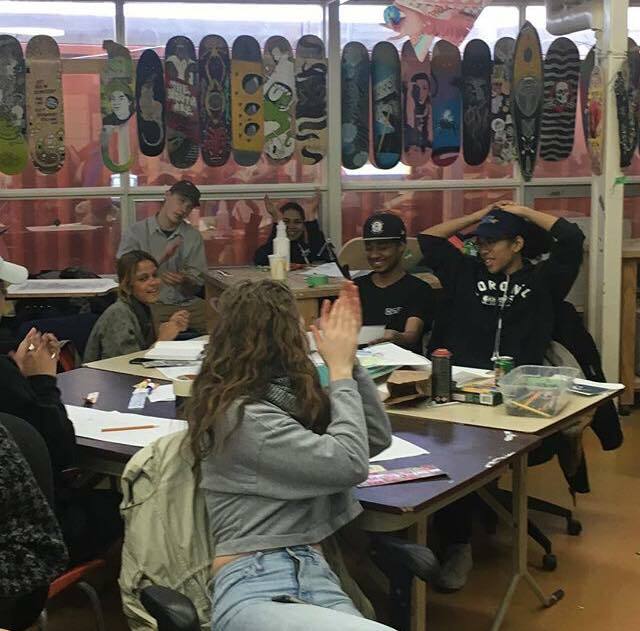 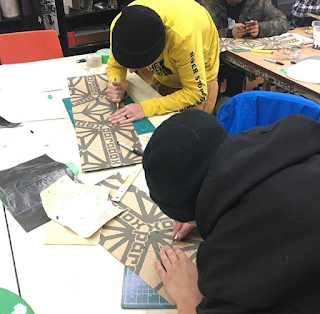 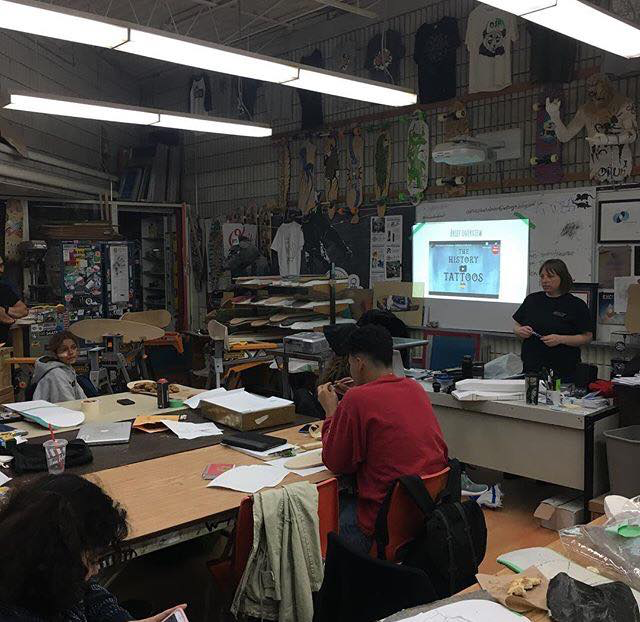 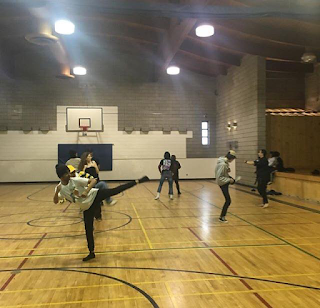 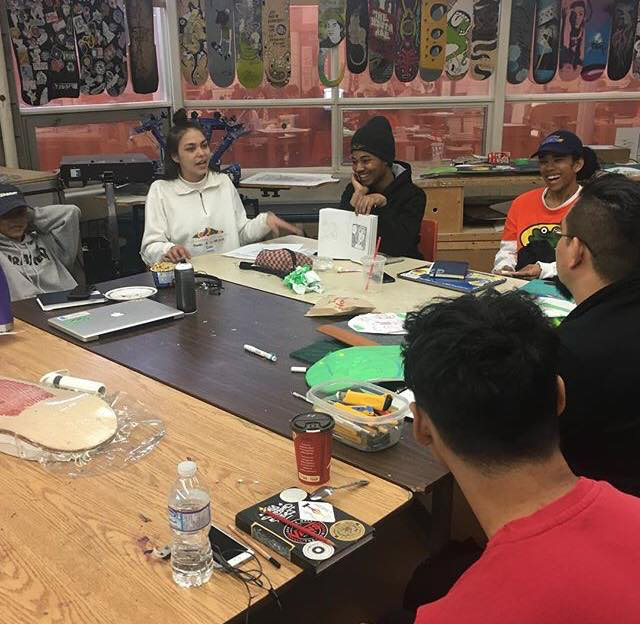 Thanks to @roarockit for presenting our Year 10 SK8 Art Show! 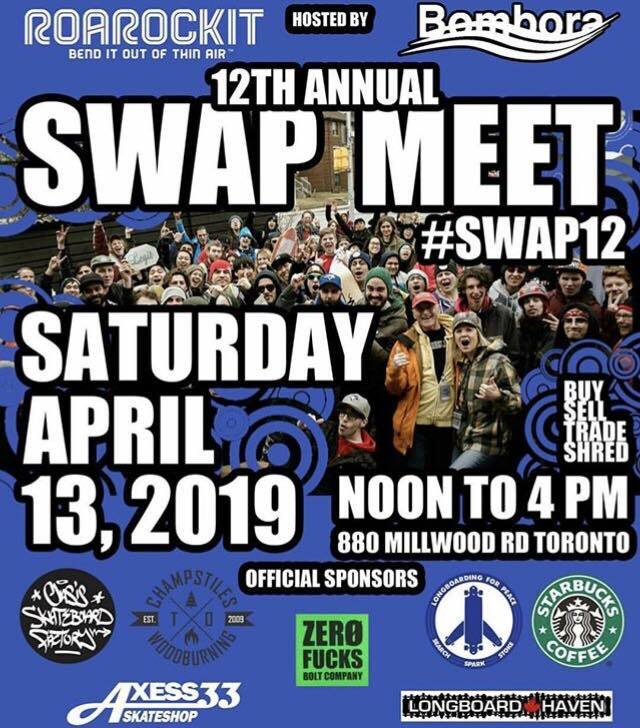 12th annual Swap this Saturday @roarockit 880 Millwood !!! 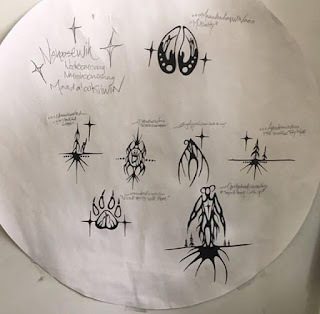 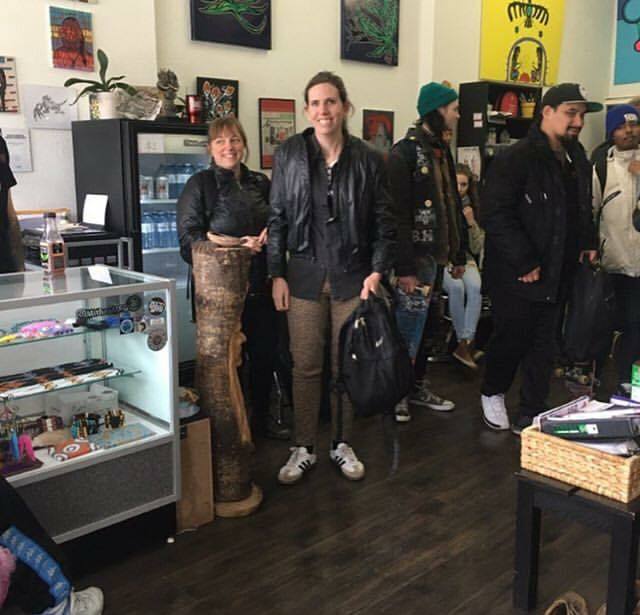 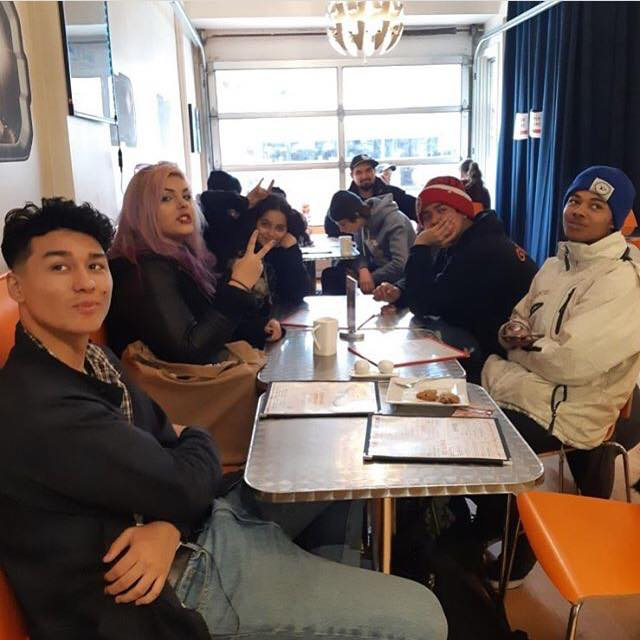 OSF visits Indigenous Tattoo. 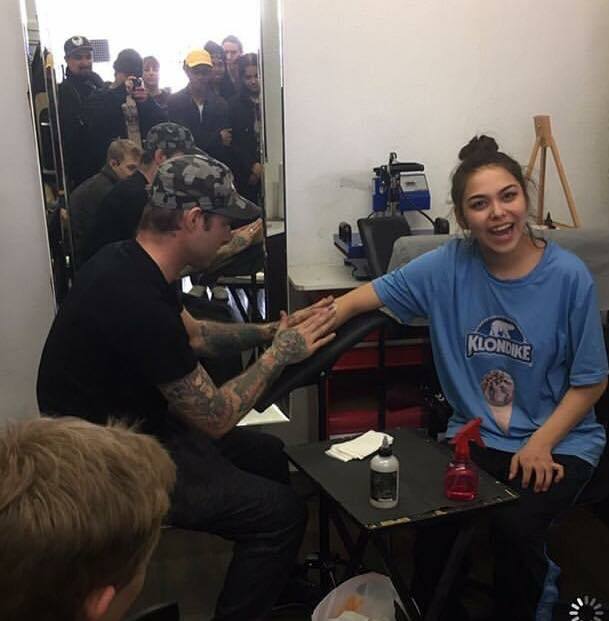 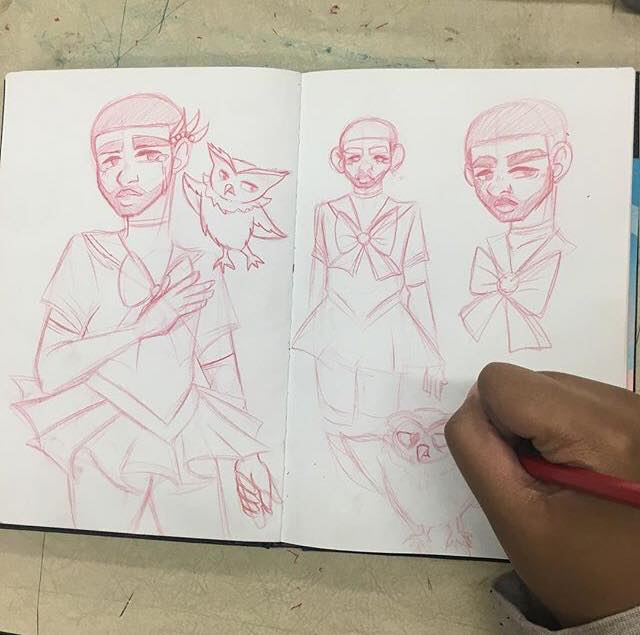 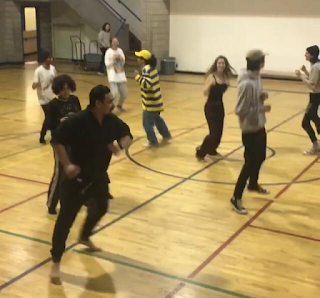 Note: No students were tattooed during this walking field trip! 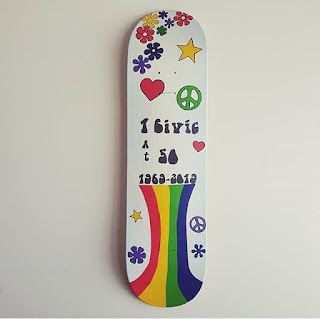 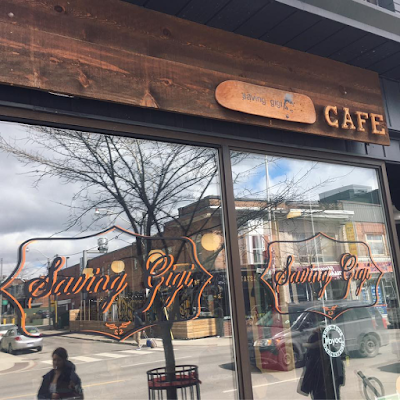 OSF student-designed SK8 Sign for Saving Gigi’s still on display at this Bloor St cafe: This is the second skateboard we ever made for a client, the first for public display back 11 years ago, when OSF was still just a small class as part of the Arts & Social Change program at Oasis Alternative SS. 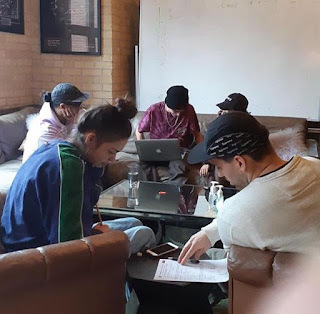 Mandatory Friday afternoon cookie break to celebrate finished projects!